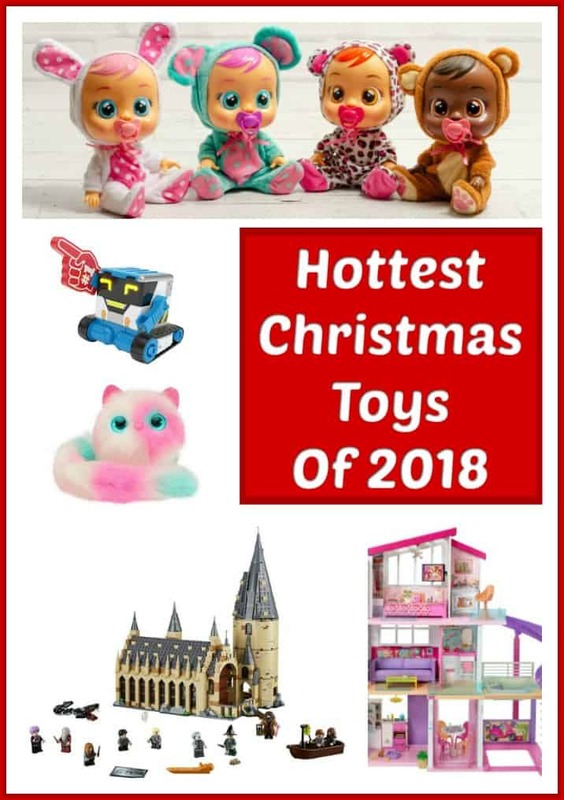 Looking for the hottest Christmas toys of 2018? Let the shopping begin! These are the toys that will have the kids squealing on Christmas morning! It’s that time again! If you haven’t already started shopping, you’d better start soon! Every year the hottest Christmas toys sell out earlier and earlier! Remember Hatchimals two years ago? This year everyone wants Hatchimal Babies. 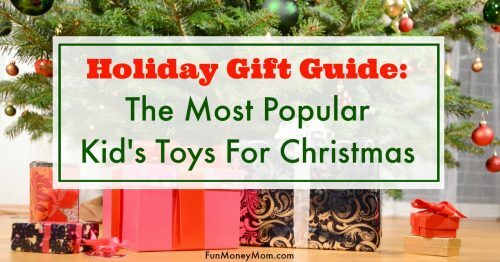 I’ve been searching through all the hottest toy lists…Walmart, Target, Amazon and even Good Housekeeping and have found some of the best toys for 2018. They may not all sell out but it’s better to be safe than sorry, right? I’ve been totally guilty of procrastinating in the past and this year I’m turning over a new leaf…time to start shopping! When the folks behind these adorable Cry Babies sent one for Keira to play with, she was beyond excited! 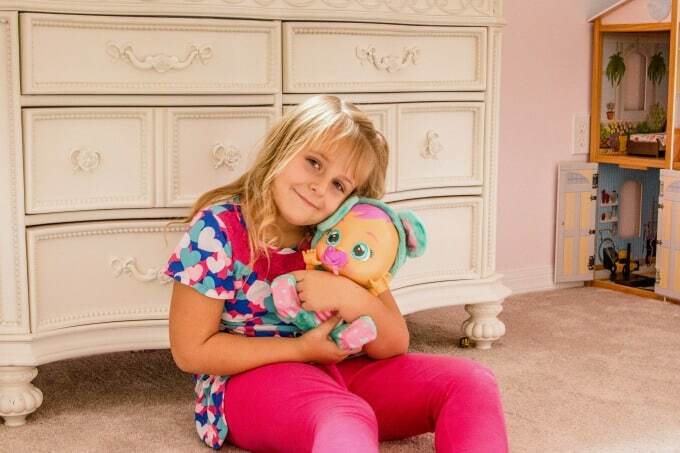 These cute, interactive dolls cry real tears and Keira loves playing the mommy who makes it all better! 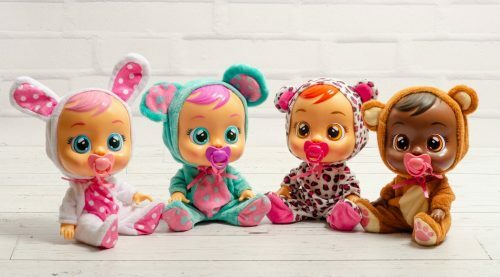 Each doll comes with it’s own special onesie and pacifier. We have baby Lala, who with her pink hair and bunny ears couldn’t possibly get much cuter! When her baby is upset, Keira pops the pacifier in, gives her a few hugs and she’s happy again. I love the little baby sounds that Lala makes and it’s so cute to see her nurturing skills in action. I chose this toy because Keira loves it but another reason is because it’s been such a huge hit overseas already. Cry Babies are the #2 best selling Special Feature Nurturing Doll in France, Spain and Italy and the #6 bestselling toy in Germany and UK. They’ve only been available here since July and from what I can see, these are going to be one of the more popular toys this Christmas! For the past two years, Keira has gotten a FurReal pet for Christmas and the squeals of delight when she opened them almost made us deaf (but it sure was fun)! Last year it was Roarin’ Tyler The Tiger. The year before she fell in love with Torch The Dragon. This year Hasbro has released two FurReal pets, Munchin’ Rex the Dinosaur and Ricky The Trick Lovin’ Pup. Ricky flips his bone, shakes paws and barks a tune but I think Keira’s favorite feature will be the fact that he eats his treat, then poops it out. What is it about kids and poop?! 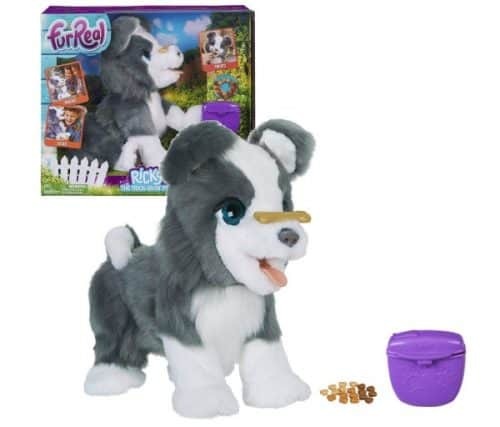 Keira continued to play with her previous FurReal pets long after Christmas and you may even love these interactive toys as much as the kids do! 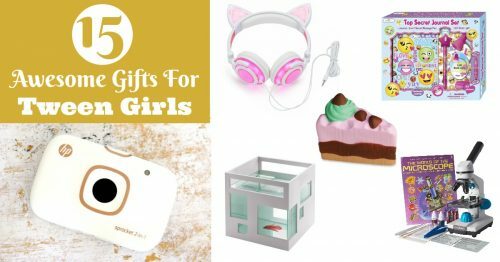 My top Christmas gifts are all toys that my girls have already tested! 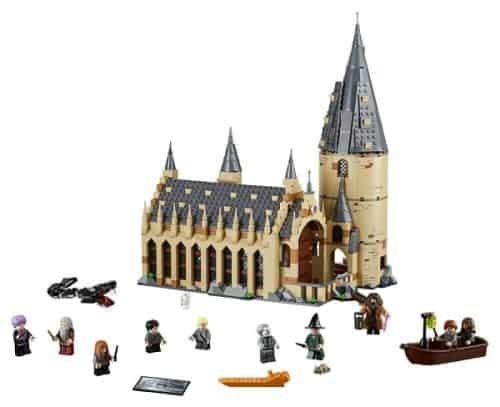 My oldest recently got the Harry Potter Hogwarts Great Hall LEGO Set and had a blast putting it together! I love that it challenged her and the best part was when she asked me to help! I’d forgotten how much fun playing with LEGOs could be and enjoyed it just as much as she did! Now that she’s put it together, Ashling proudly displays the Great Hall as part of her bedroom decor. 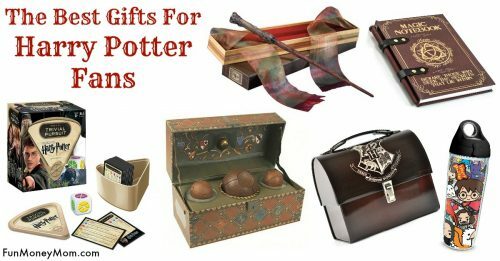 If you have a Harry Potter fan in the house, they’re going to love finding this under the tree. The first time my girls saw my husband watching Battlebots, they were totally hooked! 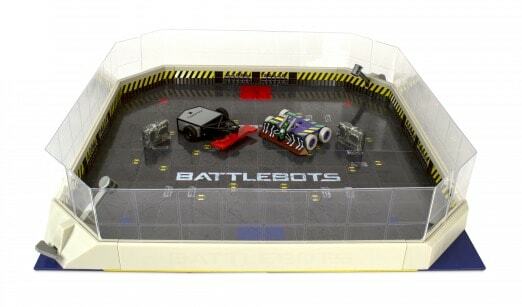 Now they can have their own Battlebots wars at home with the HEXBUG Battlebots Arena or the HEXBUG Battlebots Arena Pro. These look pretty awesome and I have a feeling my hubby and I might have Battlebots wars of our own after the kids go to bed. I think I’ll have some secret practice sessions first…we’re pretty competitive and I plan to take him down! Is it bad when the kid toys look like so much fun that you want to play with them yourself? Some things never change. This has been one of the hottest Christmas toys from day one. 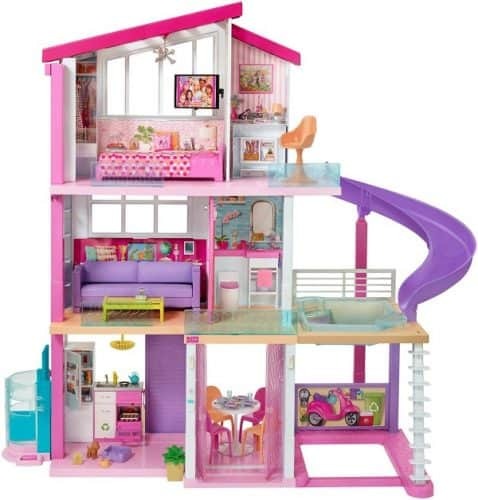 What little girl doesn’t want her very own Barbie Dream House. With three stories, a working elevator and a pool with a slide, this would be my dream house too. Lights and sounds throughout the house make it realistic and this is another toy that will get plenty of play long past Christmas! These seem to be on all the hot lists this year. The small Fingerlings were all the rage last year and now Fingerlings Hugs are following in their footsteps. This larger version has super long arms, for hugging of course. It reacts with noises and movements and can be made to produce reactions such as kisses and giggles. When your shopping for the smaller cuties, can you ever go wrong with Elmo? This Let’s Dance Elmo seems to be on every hot list this year. 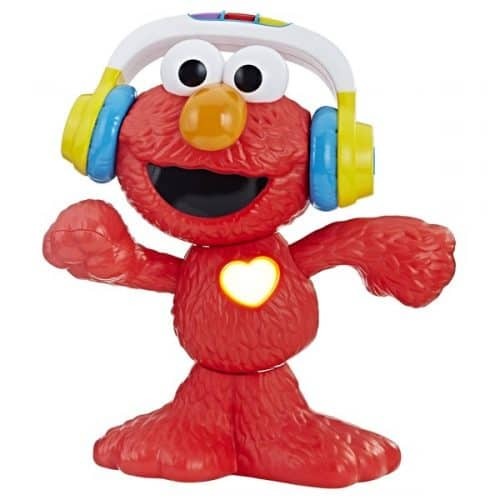 Elmo plays music, dances and has three musical modes. His heart even changes colors and beats to the music. What kid wouldn’t want his or her own robot? These Really Rad Robots look like so much fun! 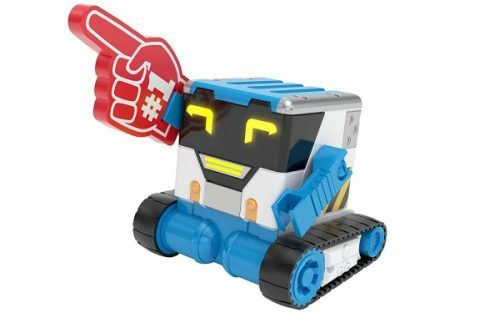 Kids can use the remote to talk through the robot and he has over 50 functions and sound effects. It also makes a great personal assistant and can bring you a snack or hold your phone. Hmm…think they’ve got one that can do my laundry? 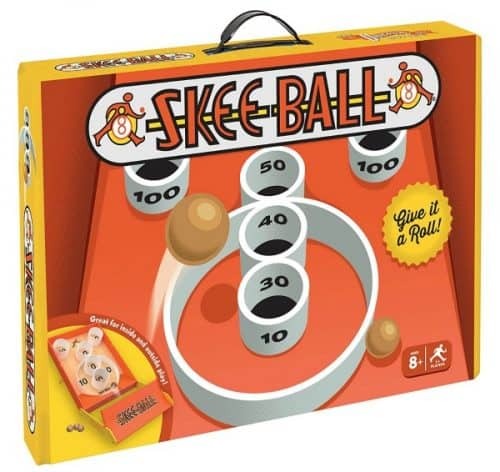 Is it bad that I want to buy this Skee Ball Arcade Game for my kids just because I want to play it myself? I promise I’ll let them have a turn! This is popping up on lists everywhere. It’s affordable, fun and even portable! This is a great way to spend some extra family time together too…I just hope my kids don’t expect me to let them win! LOL Toys have been popular for awhile and it doesn’t look like they’re going away anytime soon! 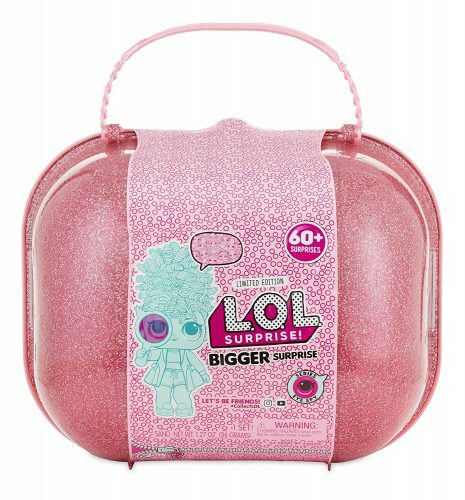 LOL Surprise Bigger Surprise has over 60 new surprises with exclusive dolls and accessories. What my girls will really be excited about are the two limited edition dolls that come with the set. Whoever came up with the “limited edition” idea for these types of toys was a genius…my kids go nuts for them! Take it from someone who’s looked for LOL toys before. If you’re planning to give this for Christmas, you’ll want to hurry up and get them while you can! Pomsies are almost like fluffy Fingerlings. They’re interactive, make cute noises and their twist and lock tail hooks onto arms, bookbags and more for on the go. Keira loves playing the Freeze Dance with hers and it’s one of her favorite toys to sleep with at night. 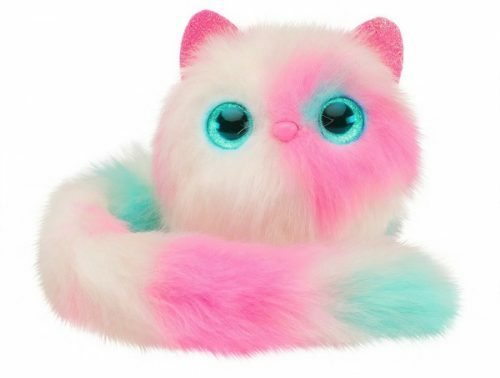 The eyes light up in different colors to show if your Pomsie is hungry, cold or sad and when it’s happy, it actually purrs! 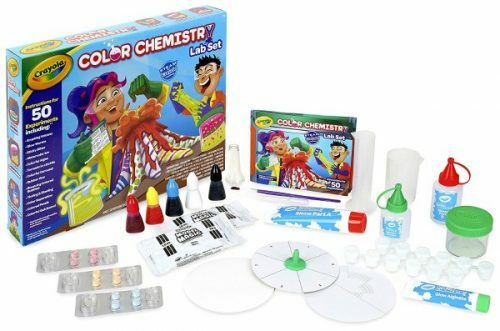 I won’t lie, activities like this make me a little nervous, but I think my girls would really have a blast with this Crayola Color Chemistry Set. This kit includes 50 science experiments, including STEM activities to promote learning. I actually don’t mind that it requires adult supervision…maybe my kids will let me play with it too! 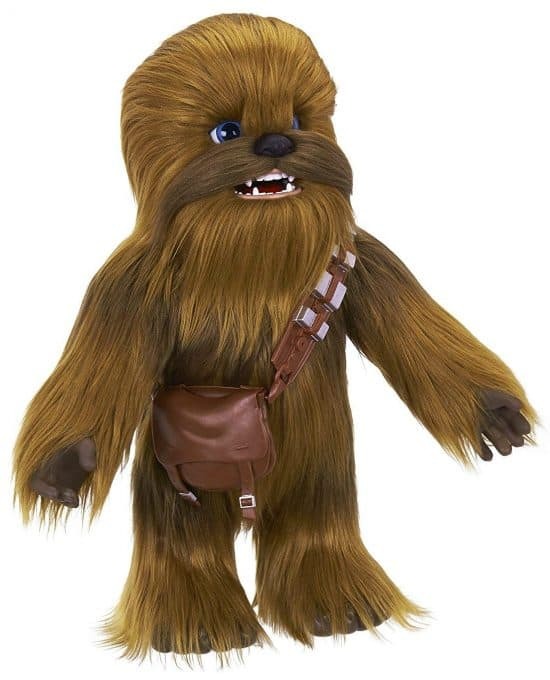 If you have little Star Wars fans, they’re going to love this interactive Chewbacca toy! I know it’ll be a hit since it’s made by the same people who make the adorable FurReal pets. 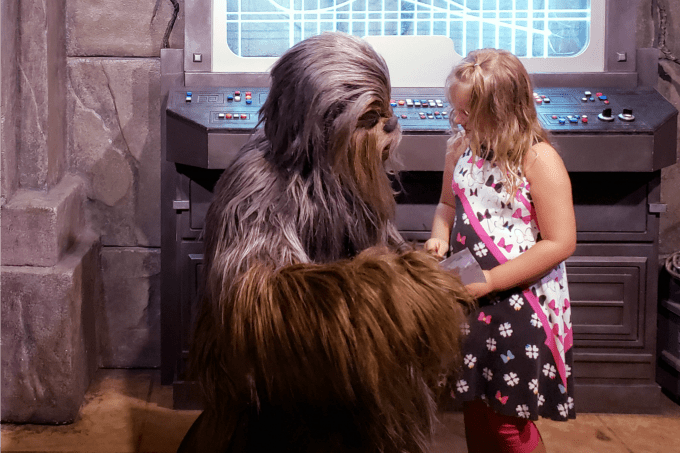 Chewbacca reacts when he’s in motion and when you speak to him, he responds in Wookie-ese. He also has fun facial expressions, roars and sometimes snores. My Keira loves Chewie so much that not only did she dress up like him for Halloween, she makes him a special card every time we go to Disney World. She keeps wanting me to invite him for dinner but I have to explain that if he leaves Disney, none of the other kids will be able to meet him. I’m pretty sure she’d be excited to find a mini Chewie under the tree this year! What do you think your kids would love most from this list? I’m still hoping for a robot that does my laundry!